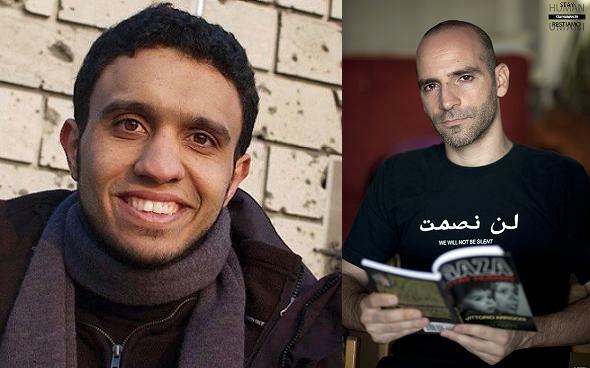 Česky zde – Two human rights activists from Palestine and Israel, Majed Abusalama (Gaza) and Ronnie Barkan (Jaffa) will talk about life under military occupation, activities of grassroots movements and initiatives, non-violent creative forms of resistance, and about the lives of young people in Gaza. They will focus on human rights activism, the ending of occupation, and on freedom and democracy in Palestine and Israel. Facebook event: Prague | Brno. Invites in PDF in Czech and English. Majed Abusalama – Palestinian human rights activist, journalist and a photographer. 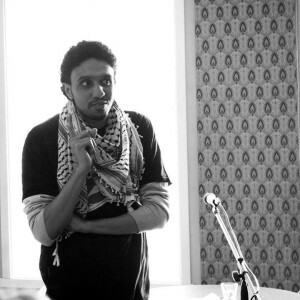 Founder and spokesperson for Intifada Youth Coalition, a youth movement resisting the occupation by non-violent means. He lives in the Gaza Strip and considers himself first of all a refugee. Alongside working for a range of newspapers, magazines and internet media (e.g. www.gazareporting.com) he has been involved in several projects focused on youth. During the two major bombing attacks on Gaza (2008/09 and 2012) he gave numerous interviews to foreign media. He was involved in the production of several documentary movies aiming at human rights violations in Palestine. He has worked also as a coordinator for international delegations in Gaza. He reached the finals for the International Mediterranean Award for Journalists 2010 as a result of his online reporting from Gaza. In 2011, he received the UNESCO Award for Freedom of Speech. He visited the Czech Republic for the first time in 2011, and gave several lectures. Majed will talk about the current situation in Gaza, about photojournalism under fire, and about the role of the international community in solving the conflict. Ronnie will talk about the current situation in Israel and in the West Bank, the role of activists, the principles and forms of boycott against the state of Israel, as well as about the successes and strategies of the international BDS campaign. Form: Moderated discussion. Each lecturer will have 20-30 minutes to give their lecture. Then a moderated debate will follow, together with questions from the audience. Moderators: Eva Nováková (Prague) and Matteo Lombardi (Brno). Organizer: ISM Czech Republic (International Solidarity Movement CZ, http://ism-czech.org) and Matteo Lombardi, with support by Rosa Luxemburg Stiftung, Prague School of Alternatives, Casa per la Pace Milano, and the Palestinian Club of the Czech Republic. From the media we hear information about the Middle East situation and about Palestine and Israel which is full of generalizations like: “Palestinian people are terrorists,” “Israel is the only democracy in the Middle East,” “If you criticize Israel you are Anti-Semitic,” But who can claim to really know the truth about what is happening there and why are there these generalizations? Nowadays a movement which is asking for Boycott Israel and support of the Palestinian struggle is developing around the world, called the BDS campaign (Boycott, Divestment and Sanctions). This campaign was created in 2005 by Palestinian people as a nonviolent way to fight against the occupation and was signed onto by more than 170 Palestinian organizations, groups, and initiatives. 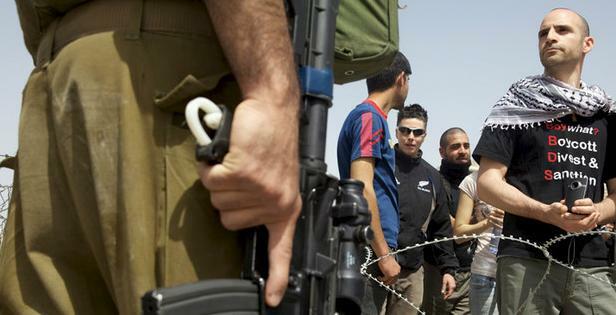 Now this campaign is also followed by some Israeli people (for example, Boycott from Within). “We do not expect you to hear from us the only possible truth but to start to get better informed about it from people who are living there and fighting for Justice. Because for us there is no peace without a real justice,“ says the organizer of the debate in Brno, Matteo Lombardi. This entry was posted in Akce and tagged Anarchists Against the Wall, Boycott from Within, Gaza, Majed Abusalama, Ronnie Barkan. Bookmark the permalink.